On Wednesday, the worst happened: THQ filed for bankruptcy, leaving its library of highly anticipated upcoming games potentially up in the air. No, it's not the end of the world (that's coming Friday), but for those looking forward to THQ video games like Saints Row 4, Metro: Last Light and South Park: The Stick of Truth, it mights as well be. But lo, a savior, Clearlake Capital Group, L.P., came down from on high and proclaimed that it would purchase THQ, and that THQ's assets won't be liquidated. Instead, THQ would continue running as usual, with present and future game releases currently expected to go off as planned. THQ has been plagued by layoffs and uncertainty all year, so this fate is not completely unexpected. At least it's in good hands, though; Clearlake Capital, a private investment firm, appears to be in the business of purchasing ailing companies, nursing the firms back to health, and eventually selling for a profit, based on a portfolio full of companies like Jacuzzi and Swiss Watch International. 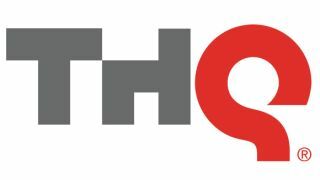 "The sale and filing are necessary next steps to complete THQ's transformation and position the company for the future, as we remain confident in our existing pipeline of games, the strength of our studios and THQ's deep bench of talent," said Brian Farrell, chairman and CEO of THQ, in an announcement about the happenings. That's good news for everyone involved, as one would expect a typical investor to liquidate THQ and sell off its four in-house game development studios and multiple game franchises to the highest bidders. According to THQ's announcement, Clearlake has offered up about $60 million (UK£36.9 million, AU$57.2)total, and though at this early stage of the sale other bids are still allowed, it sounds as if the Clearlake deal is relatively concrete. THQ has reportedly asked the Delaware bankruptcy court overseeing the case to allow them to complete the sale process within about 30 days. "We have incredible, creative talent here at THQ. We look forward to partnering with experienced investors for a new start as we will continue to use our intellectual property assets to develop high-quality core games, create new franchise titles, and drive demand through both traditional and digital channels," said THQ President Jason Rubin in the announcement. Rubin also tweeted the news from his personal Twitter account, adding some extra details. "Sure you've heard the big news for @THQ," Rubin wrote on Wednesday. "Commitment from Clearlake Capital to buy the business. Major step in securing financial future." In further tweets, Rubin confirmed that Company of Heroes 2, Metro: Last Light, South Park: The Stick of Truth, Saints Row 4, and Homefront 2 are all still in development. "Thanks for all the support," he added.